What happens to forgotten memories? In the quirky Library of Lost Memories two very well-meaning librarians are sent to organise and file an old man’s memory before it’s too late. Whether they want to, or not, the reluctant and slightly incompetent pair find out what happens to forgotten memories. A new comic theatre show from the creator of the acclaimed Waiting for Stanley, this inventive, poignant and very entertaining show explores the nature of memory, and the complexity, simplicity and beauty of the human mind. 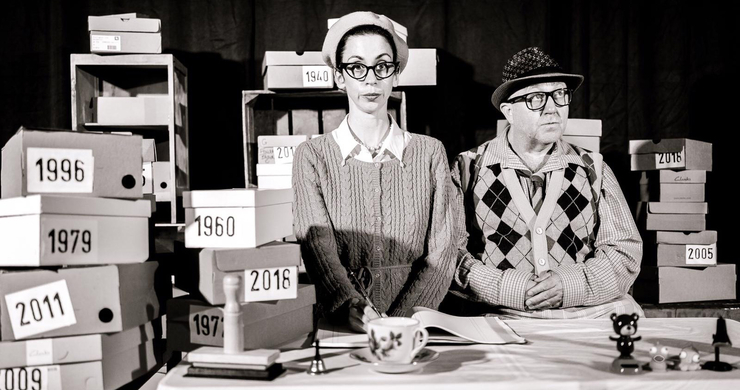 Leela Bunce and Ged Stephenson make up Shoebox Theatre and this is their first production together, which they are bringing to Somerset prior to their world tour. So get in quick to see it before their Edinburgh Fringe Festival run in 2019 and their short tour to New York and Krakow in Poland.